Tina and I have been wanting to tour the USA together for quite some time now. We’ve both visited on separate occasions, but never together. Last 2016, I spent around 6 months exploring the USA. This year, I spent nearly 3 months exploring even more parts of the country. Trip planning is something Tina and I are both quite good at – we enjoy piecing together our own itineraries. 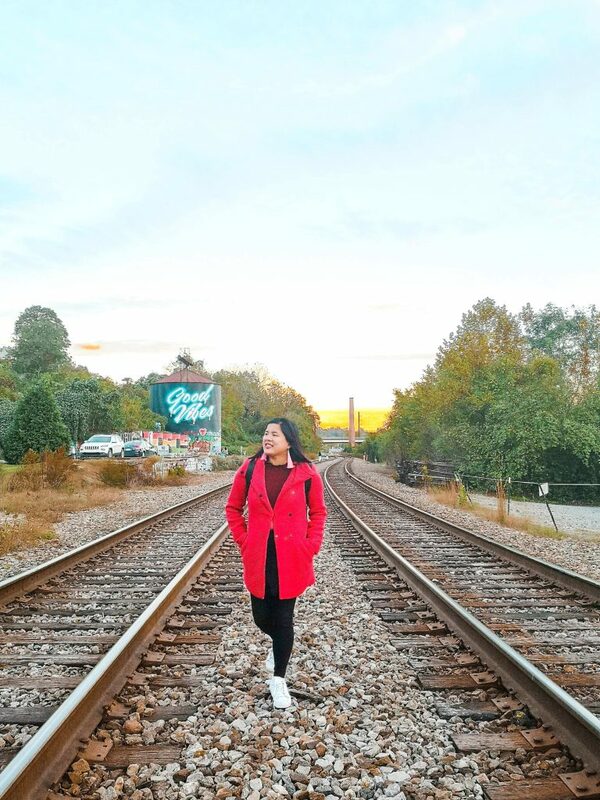 Although we share the same pace when traveling and we both love having drinks, exploring cities, and eating good food, I prefer the outdoors while Tina enjoys strolling, shopping, and eating to a greater extent. Nonetheless, we make it work. To be honest, Asheville wasn’t initially part of our plans. I didn’t know anything about this city until somebody mentioned it. 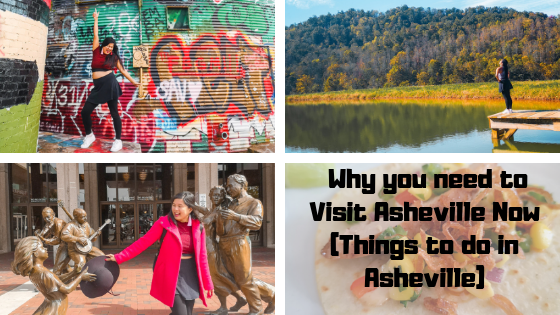 Upon googling the location, I told Tina that whatever happens, we should definitely hit Asheville….and that’s when it became a permanent fixture in our itinerary. We flew in from New York to Asheville. 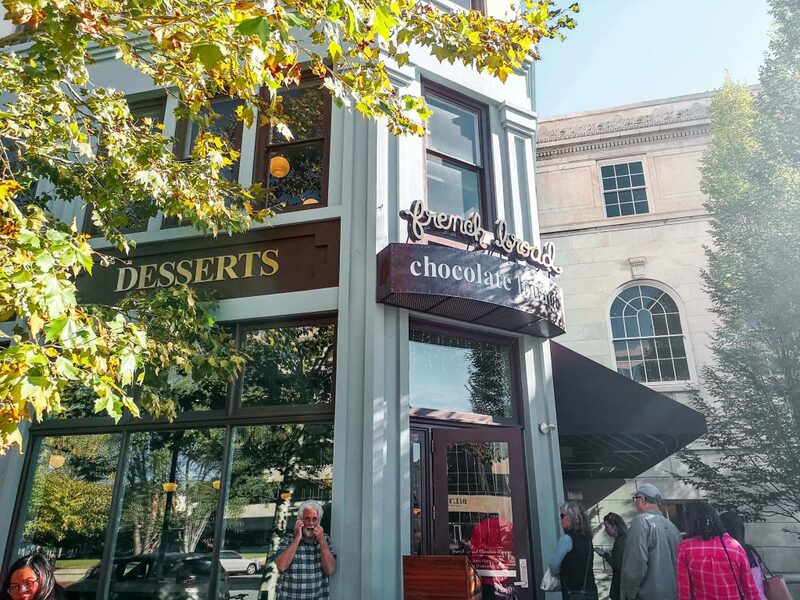 We tried two of Asheville’s most prominent food tours (Eating Asheville and Food Tour Asheville). 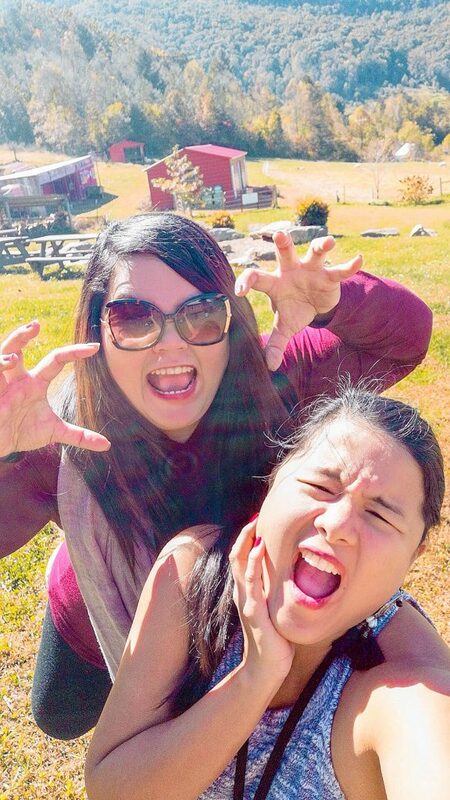 They both gave us the opportunity to explore and eat at different local restaurants and believe me, all of the meals I tried were downright delicious. 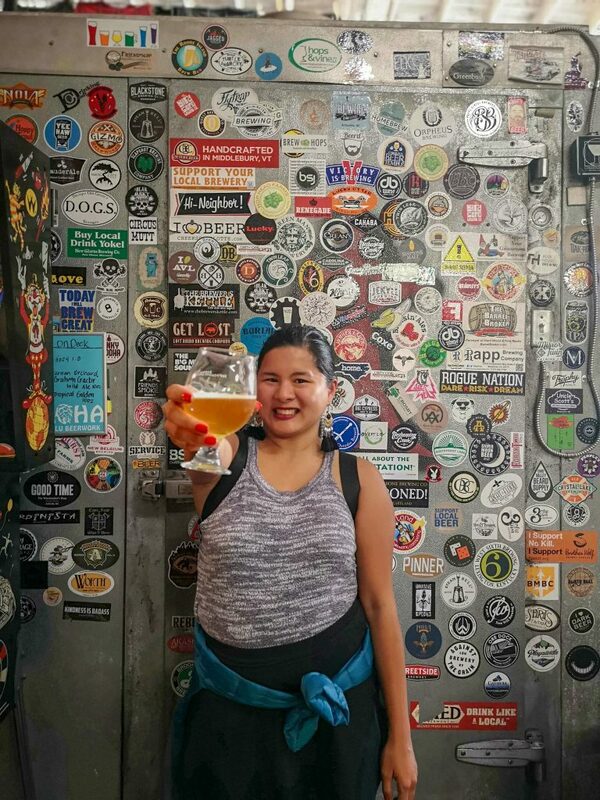 The Bier Garden – This is a local pub with hundreds of different drink varieties you can choose from, paired with matching meals and complementary finger foods. Blind Pig – The blind pig is another great spot for drinks, as well as comforting and hearty meals – such as their famous and heart-warming Pork Shoulder Porridge. 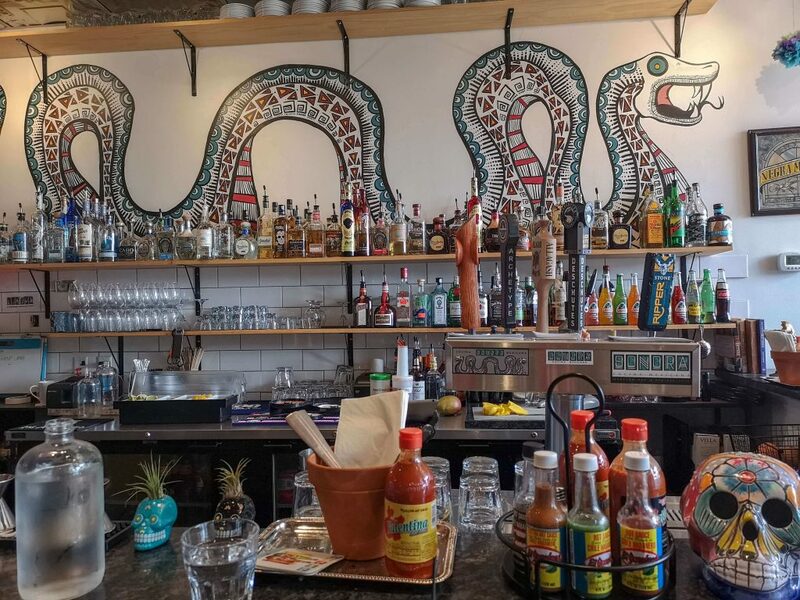 Mountain Madre – A locally grown Mexican restaurant which serves authentic dishes and some of the best tequila in the area. 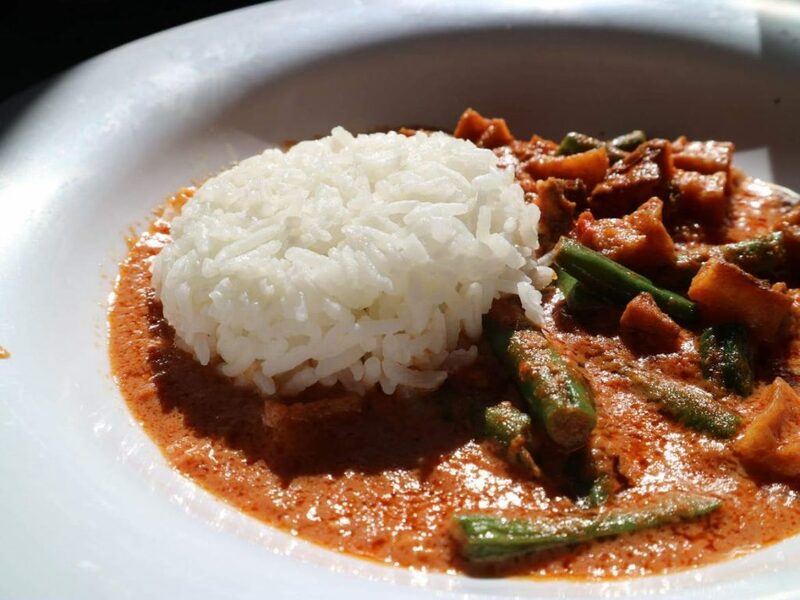 Blue Curry Dream House – As made by evident by their name, Blue Curry serves all sorts of curry dishes, from all over the world! Underground Café with Dough Doughnuts – And finally, some sweet dessert in the form of doughnuts to end the tour. Aside from doughnuts, they serve some great burgers as well. 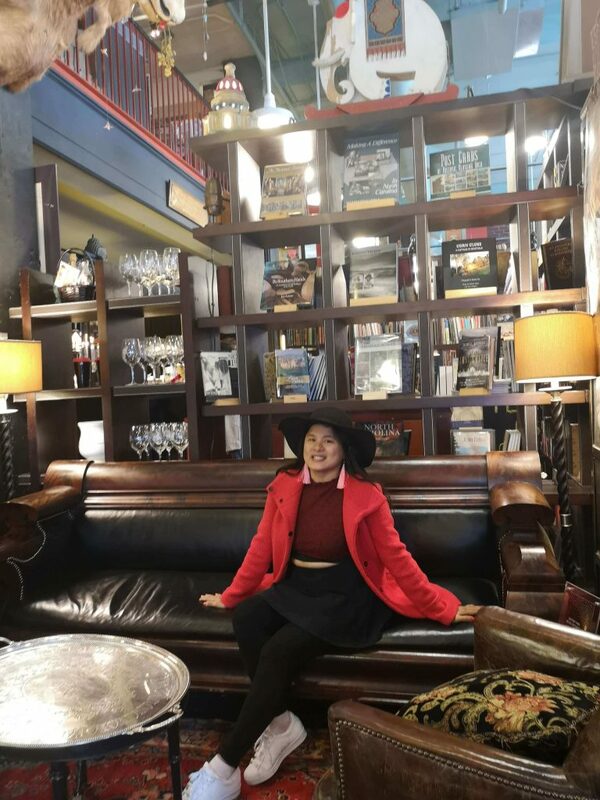 Modesto – A quaint Italian restaurant with varied menus depending on the season, making it hard to ever get bored of their dishes. One of the popular items on their menu is their comforting minestrone soup, best paired with their wine selections. 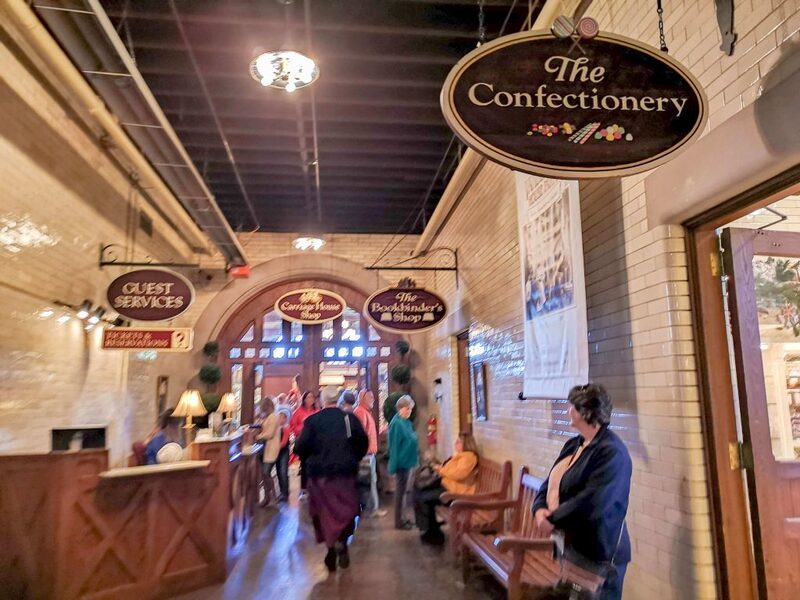 The Chocolate Fetish – Known for being one of the best chocolate stores not only in North Carolina, but also in the whole of the US. White Duck – A spot well-known for their delicious tacos, most with international twists like their Bangkok Shrimp Taco and Thai Peanut Chicken. Twisted Laurel – A cozy location perfect for catching up with friends, with mussels and clams being their most popular items on the menu. Social Lounge – Another spot great for just chilling out and enjoying drinks and food. 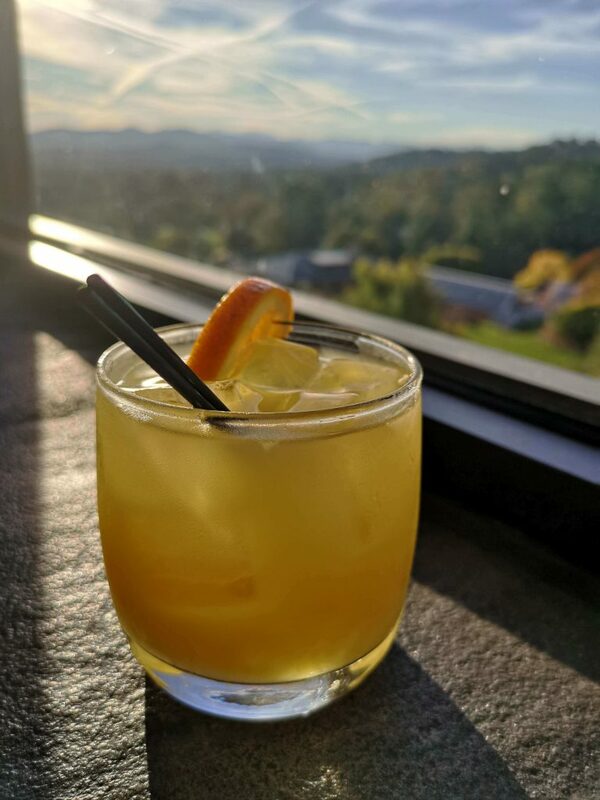 It has a very homey feel to it, and serves up what is known as the best cocktail in Asheville. 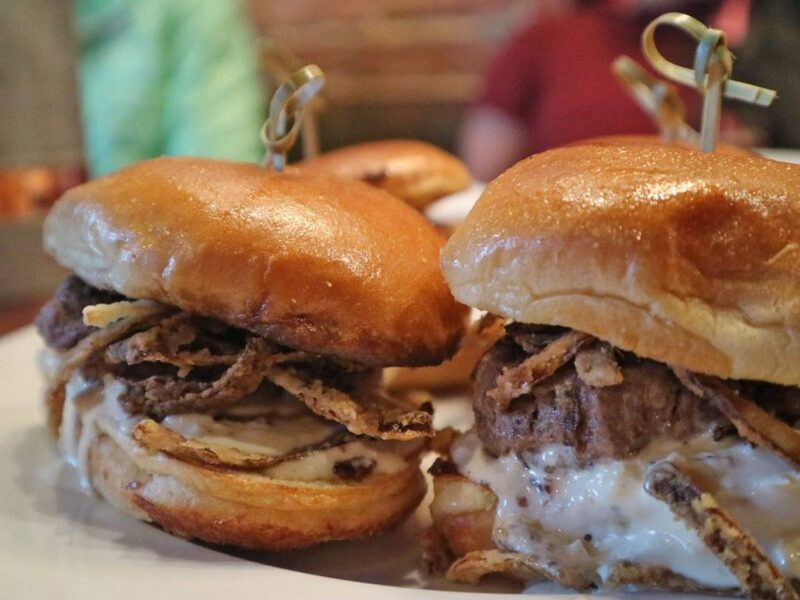 Brewery Lab – Burgers and beer galore! Honey store – A store which sells a variety of different honey flavours, perfect to take home as a souvenir or gifts for family and friends. Most of the restaurants featured in the above food tours are local restaurants, but they do have a few chain ones. The Mexican restaurants were really good – we’ve tried several and it really is amazing. Really tasty! Everybody talked about Cúrate, a Spanish tapas restaurant. It’s a pity we didn’t get to dine there, but we would love to in the future. 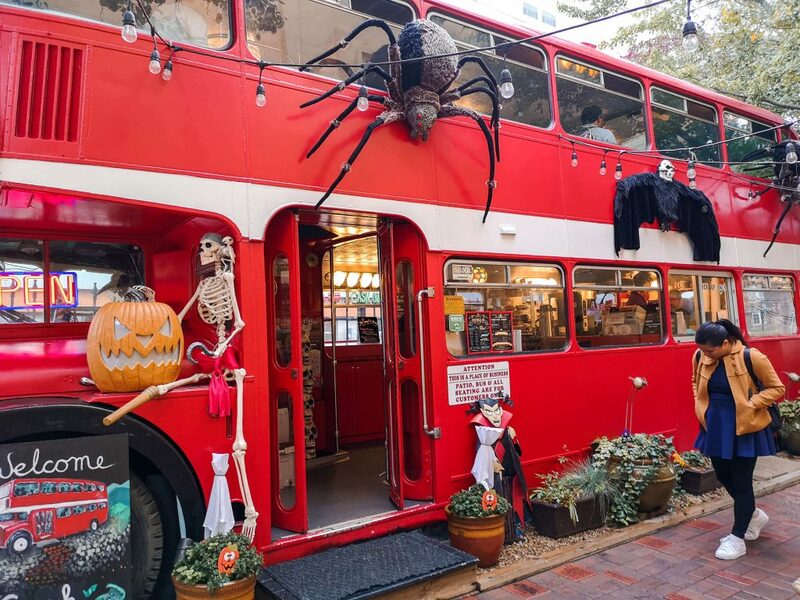 This shop is an absolute haven for chocolate lovers. 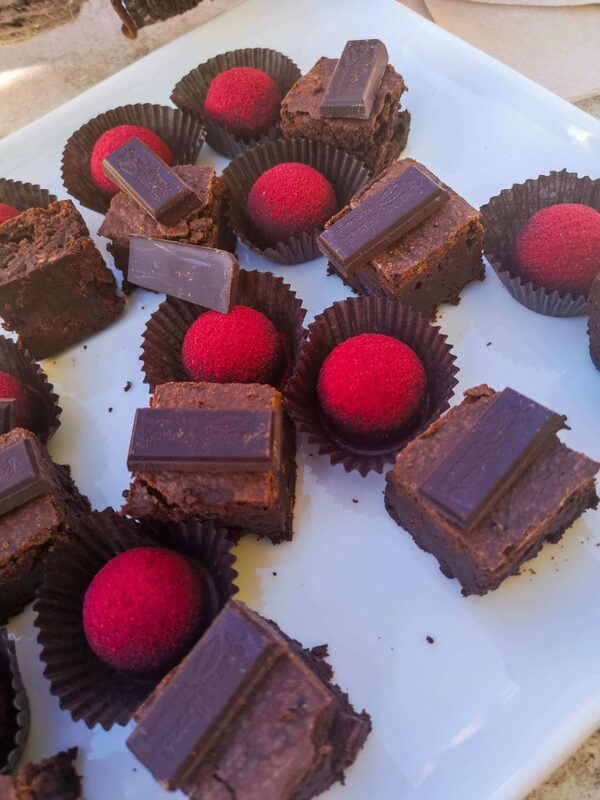 Not only does French Broad make artisanal chocolate bars, all from scratch by their trained staff inside their factory; they also make cakes, cookies, ice cream and even drinkable hot chocolate. You can stay in the restaurant and admire the cosy and warm ambience or get some of the confections to go. Some must tries are their Chocolate Creme Brulee and Liquid Truffle. While there, Tina and I even found one chocolate made from Davao, Philippines. Wow, all the way from back home, that’s good to know. 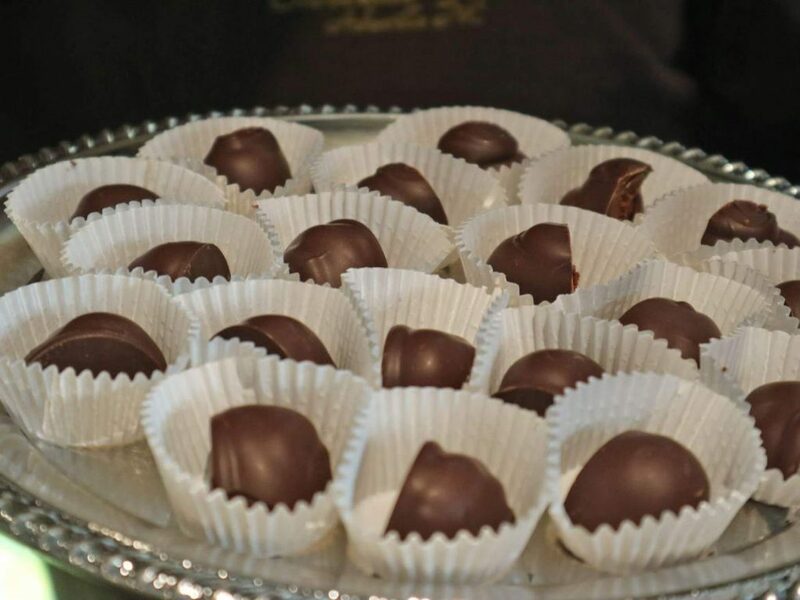 Chocolate Fetish has received many awards and is known to many as the best chocolate shop in North Carolina. 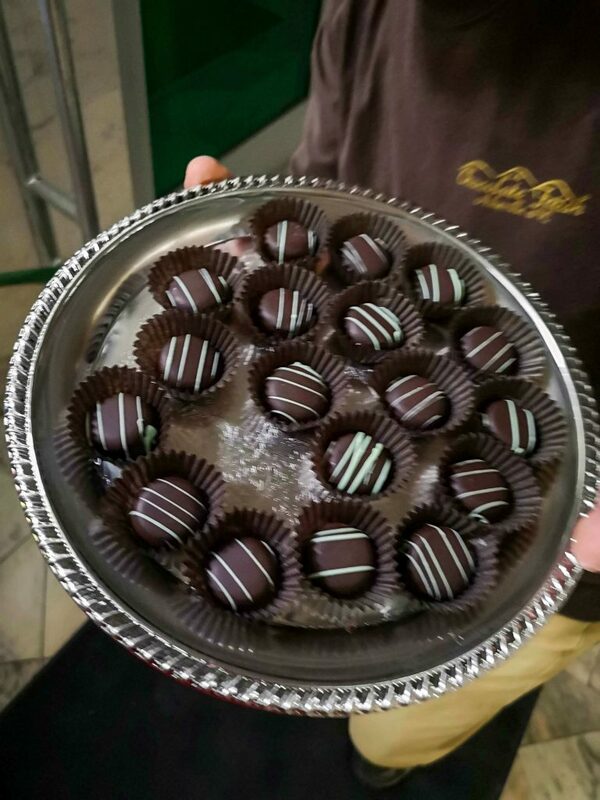 There are a wide variety of different selections, from sipping chocolate to their beloved truffles. The staff are also very friendly, and give out samples of some of the display chocolates so you can pick out your favorites. For a chocolate lover like me these two shops were heaven! I felt like they had all the chocolate in the world. We got to sample a lot and they were sooooo good. The “Farm to Table” concept is all about knowing where exactly the food you eat is sourced from, so you can be reassured about your purchases as well as ensure support of local farmers. This food tour takes you to various farms to see where exactly the meats and produce that are sold originate from. Aside from being very informative and educational, visitors get to see the beautiful greenery and flora of the farms. At the end of the experience delicious food is even served made from the ingredients presented during the tour. This tour exactly was the one we went on, so check it out! 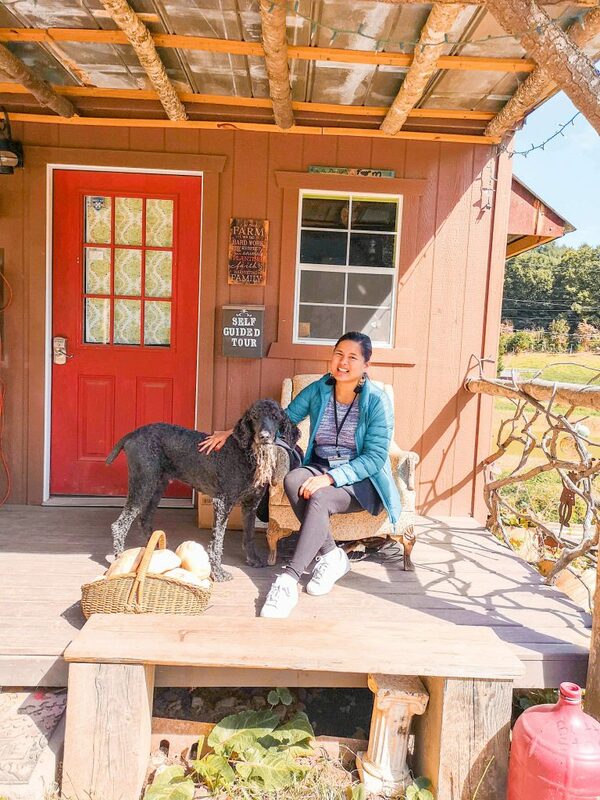 I really loved how Franny’s farm practiced sustainable farming and all that – for some reason, after this tour I felt like I could live in a farm. 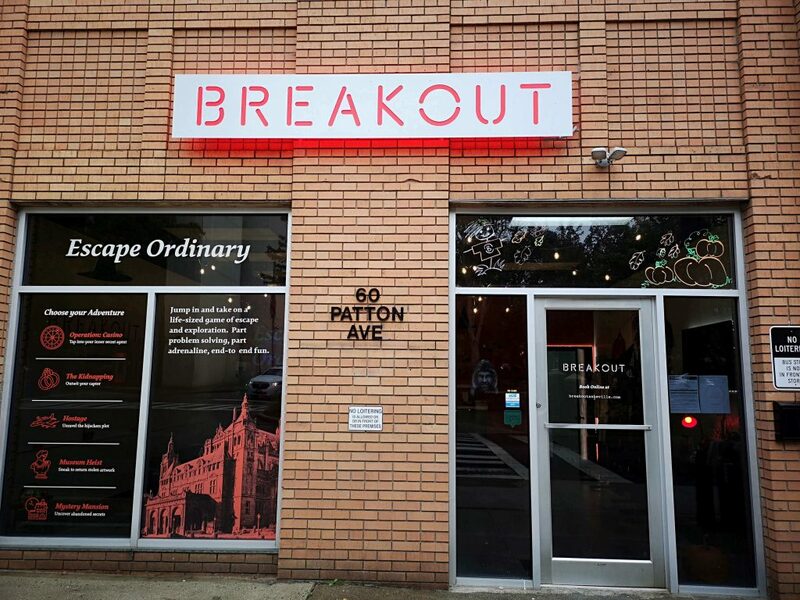 One rainy day, Tina and I decided to visit Breakout Asheville. We are both fans of mystery games and we really enjoyed this! We were able to escape both times. It was a good interactive game which really jogged our brains. There are five different rooms to choose from depending on the type of scenario and storyline you want to experience. Booking a room costs 19.99 to 29.99 USD per person depending on how many people are going to be playing. They also have a pinball museum in Asheville. It had all sorts of pinball designs and games but unfortunately, we didn’t get to try it since we didn’t have much extra time. Tina is a big fan of horror movies! Really, I’m the opposite! I’m not quite into them, but of course; when you’re with someone you have to adjust. This seemed interesting so I decided to say yes and give it a go. 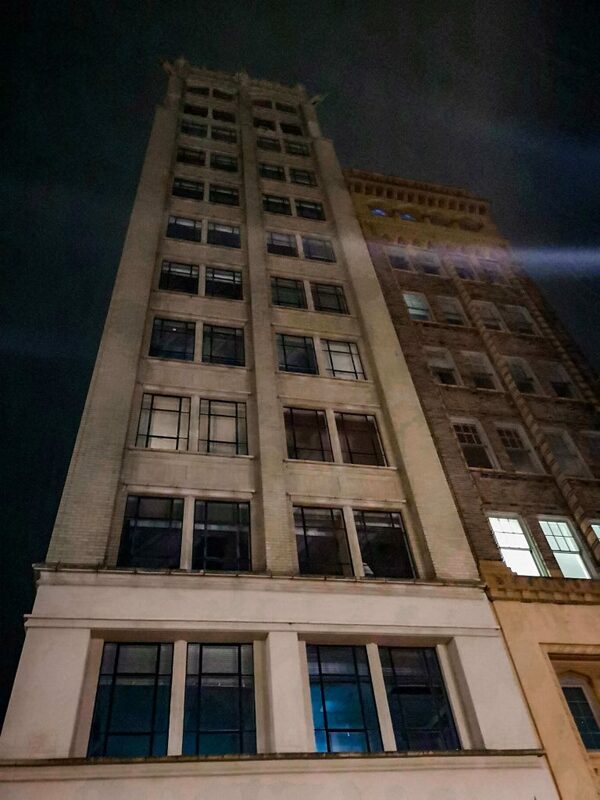 The tour we took is from Haunted Asheville. 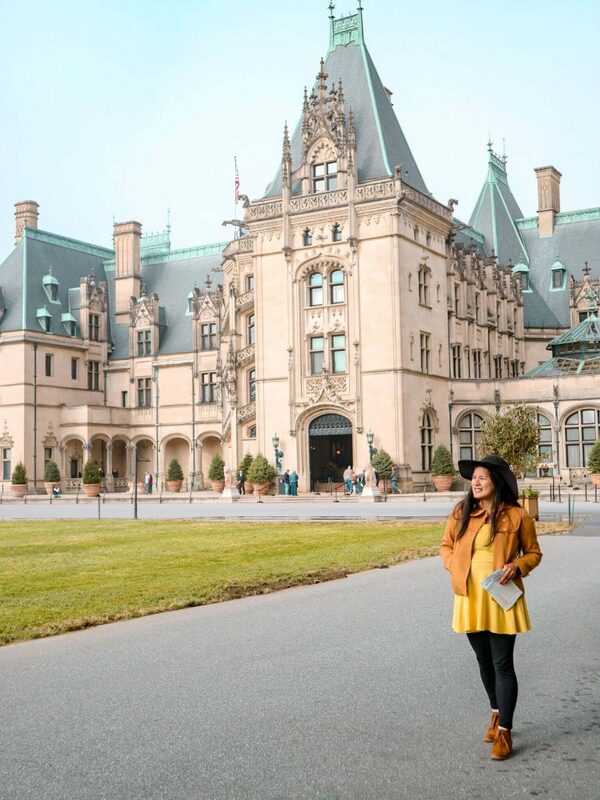 What I liked about this tour is that is started with a little history lesson, so we learned all about the city before and how it came to be the city it is now – including the Biltmore influence. We learned about the boom and then crash of the Asheville economy. Then, after speaking about the history, the guide would give us ghost sightings in the area – facts! He would show us proof! I guess the best part of the tour was the fact that we got to go to the basement of the Masonic Temple where we learned more about the ghostly sightings, some replicas of said sightings, as well as more proof of the stories we heard earlier in the tour. It was a bit too eerie for me, but Tina really seemed to have enjoyed the whole experience. For people who are into ghost hunting this is actually one of the tours I best recommend. Well, you won’t see an actual ghost – if there really was such a thing, I probably wouldn’t go…. but it was just nice to hear and know about their sightings! Aside from the interesting stops and history, our guide was also really entertaining which made the experience all the more enjoyable. 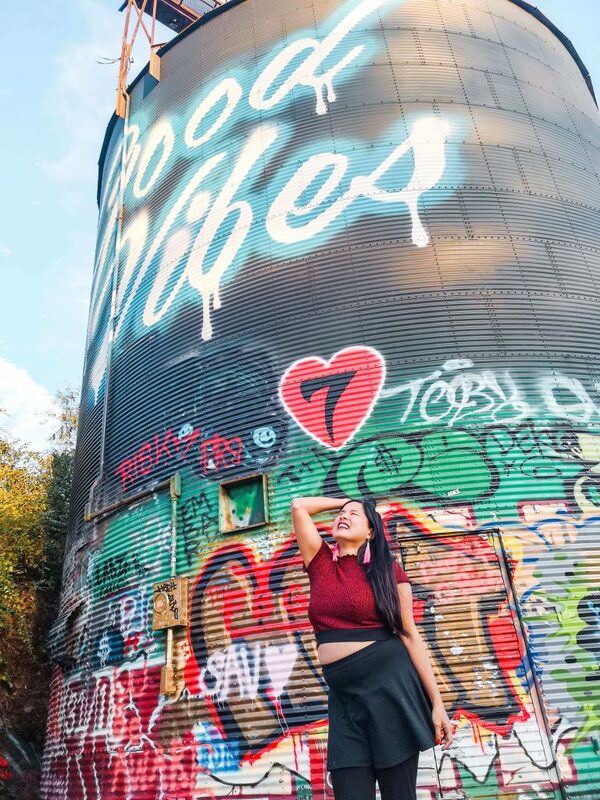 Asheville is known for being a community which loves to spread and proliferate creativity and the arts, so it’s no surprise that lots of street art is speckled around the city. 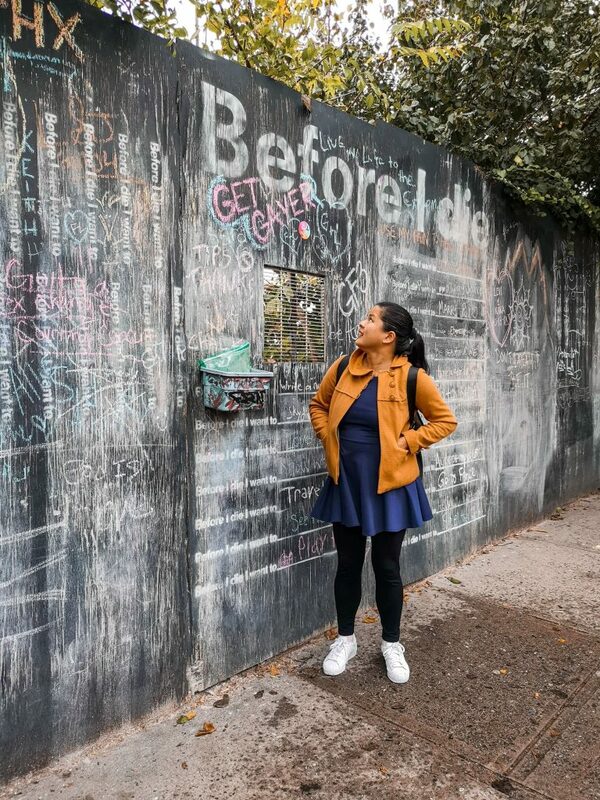 I think by now you all know that I love street art as well as small establishments and bars which are quirky and hip – and Asheville has just that. One spot to get a good feel of the local art culture is at the which was once an old worn-down industrial zone, now turned haven for amazing street art, wall murals, and paintings. But photo-friendly art isn’t all that the River Arts District has to offer. There are lots of art studios where you can go and see the artists at work or even take a painting class or two. Studios are littered around the area so it really is an exciting place to visit for those who love art and good vibes. 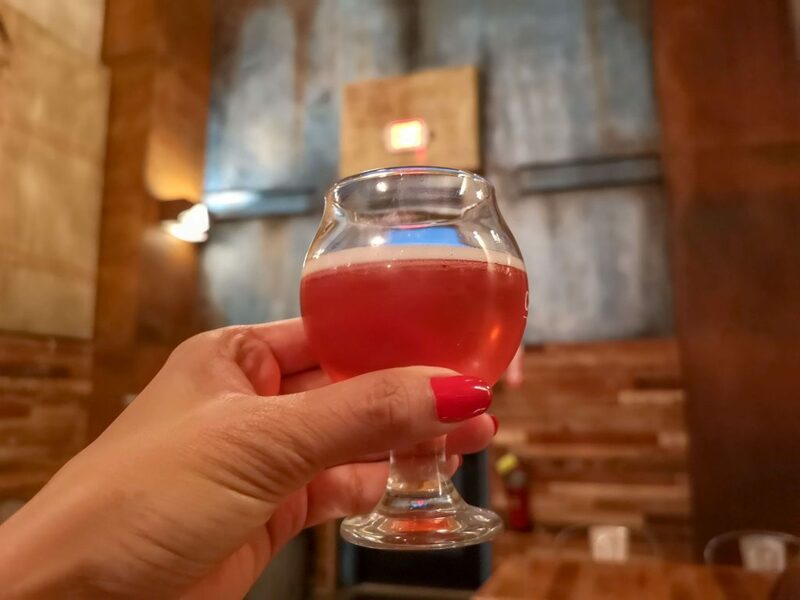 Wicked Weed Brewing – Hosts a wide selection of beers and food, combined with a hip, upscale atmosphere perfect for pictures. 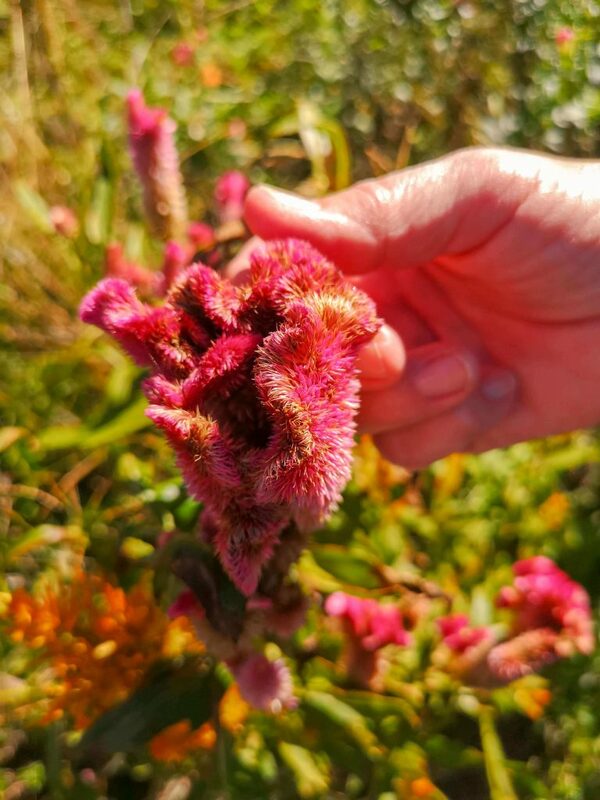 Max Patch – A spot reachable via a short hike, offering wonderful views of the mountains. The trail also has lots of local coffee shops and restaurants for breaks in between the trek. Grandfather Mountain – A more difficult hike which involves additional physical activity and climbing. The view at the peak is well worth it, however, for the stunning views. Bearwallow Mountain – Home to great sights of the city below as well as a large grassland area suitable for a picnic or a long rest. Crabtree Falls Trail – Those who reach the end of the trail await a beautiful view of the Crabtree falls, surrounded by blooming wildflowers particularly during the spring and summer seasons. Salsa’s – A simplistic, outdoor restaurant serving Mexican and Caribbean cuisine, as well as a selection of cocktails to pair. 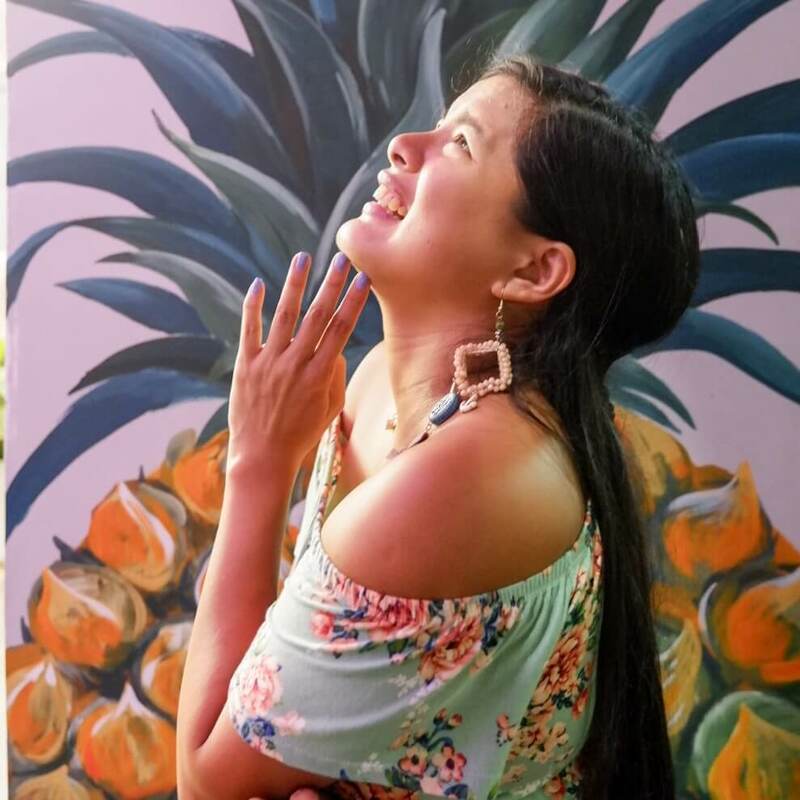 Mamacita’s Taqueria – A more artsy, casual and laid-back restaurant featuring Mexican favorites, a salsa bar, and an assortment of drinks. Papa’s & Beer Mexican Restaurant – Frequently voted the best Mexican restaurant in Asheville, Papa’s serves up fresh and delicious meals with delicious brews to match. There was a time where Asheville used to be a booming economic hub comparable to that of New York City, meaning lots of rich people decided to invest, built, and take residence there. One such example of an individual is George Vanderbilt and his Biltmore Estate, a formerly private property now turned museum. The Winery – Get to experience some of the most delicious wines the estate has to offer. Wine tasting is included in the admission fee to the estate, but you can get additional wine and drink experiences for a given fee. Additional Tours – Given all that the estate has to offer, it’s hard to unpack it all in just a mere two hour audio guide. 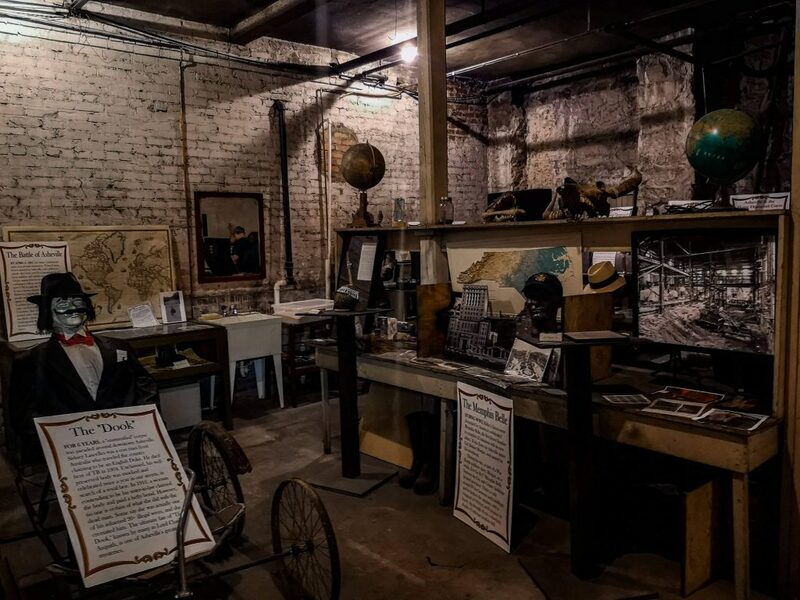 If you want to explore and get into depth about the history, architecture, and other facts about the area, then you might want to purchase additional tours – most of them require reservations, however. 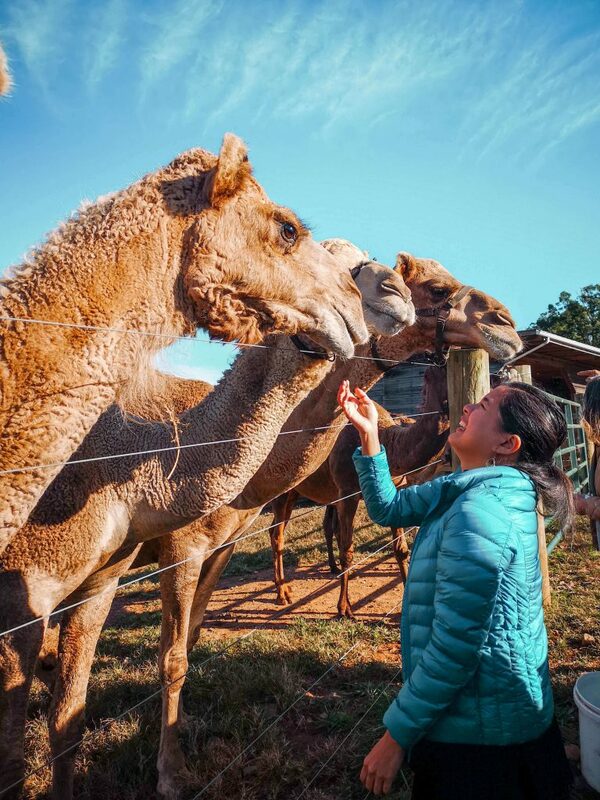 The Farm – Filled with farm animals and greenery, perfect for children to explore. This was the favourite place of Tina’s cousin. 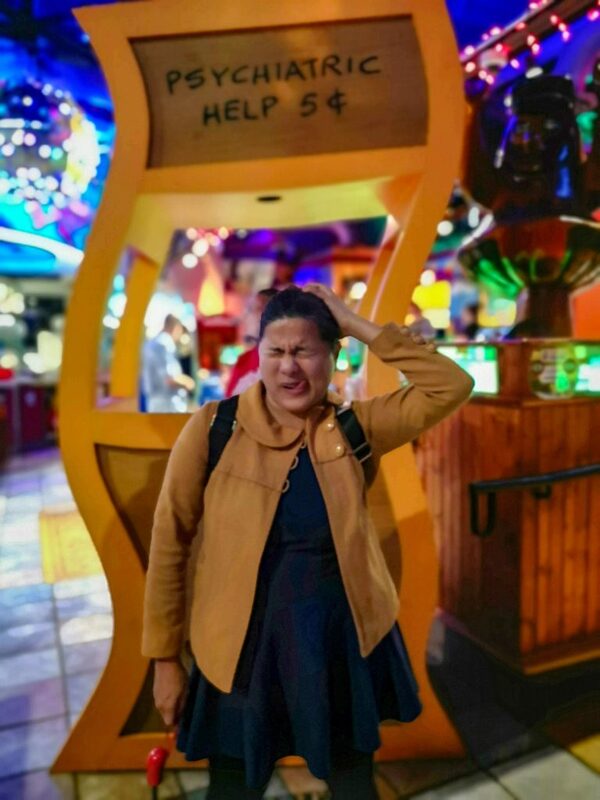 The ticket costs $60 per adult but if you avail of the different activities inside the estate, there might be additional costs. Tim knew a lot about the estate and gave me more inside knowledge, which was so cool. I mean, seeing the history and grandeur of it all was just great. After our visit we went for the wine tasting tour which was absolutely good. You can choose up to five different wines – although we wanted to buy a lot. There are many different hiking spots in Asheville which boast stunning views of the sunset. Tina’s cousins, Rochelle and Tim, decided to join us for our last day in Asheville; they took us to the Omni Grove Park Inn where we had drinks and watched the sunset over the hill. It was amazing. A lot of people get married there and I can definitely see why, what with the stunning views of greenery, mountains and hills in the distance. Asheville sports lots of amazing buildings and relevant, historic architecture built way back when the city started to boom. 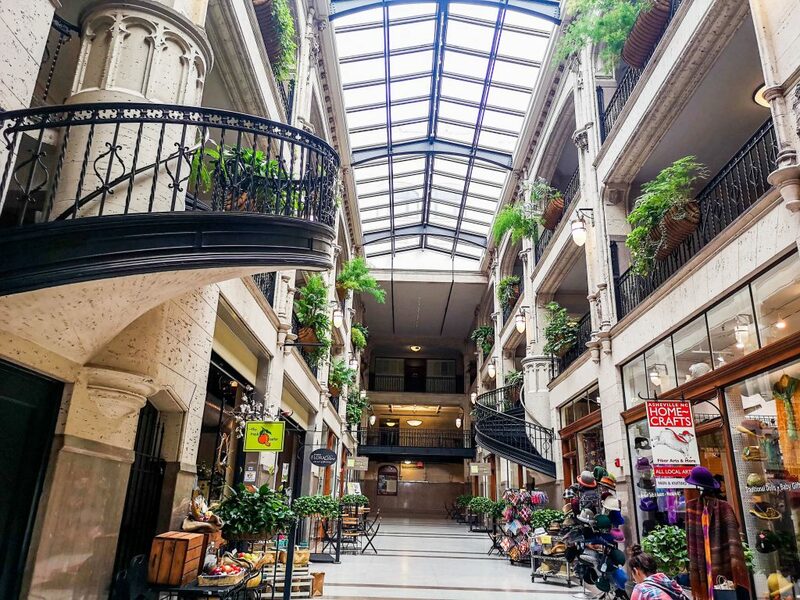 Grove Arcade – A Late Gothic Revival style building, exemplifying the Art Deco period of the city of Asheville, now transformed into a hub for shops and restaurants. The Thomas Wolfe House – The historic home turned memorial and museum of the renowned writer of the novel ‘Look Homeward, Angel’. 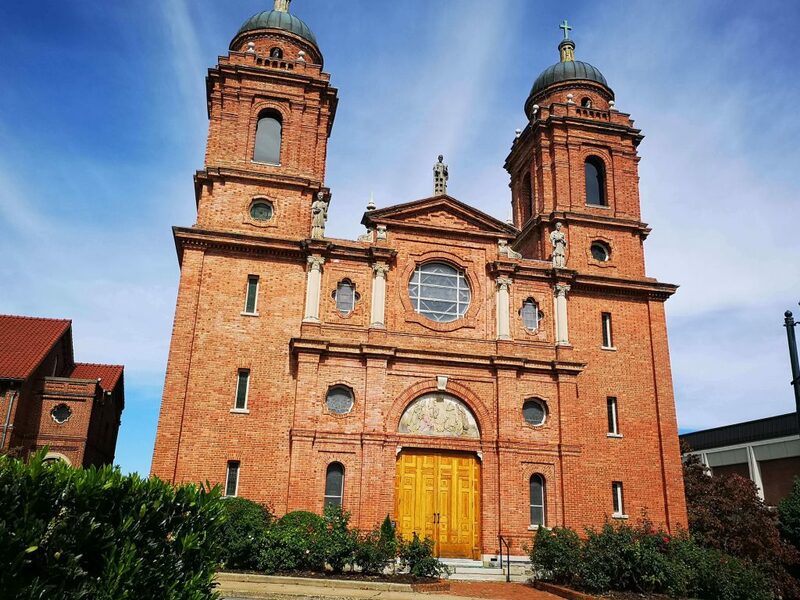 Basilica of St. Lawrence – A minor basilica of the Roman Catholic church, a beautiful representation of Beaux-Arts architecture and Spanish Baroque architecture. Montford Neighborhood – A street which really shows the rich culture and architecture behind the city of Asheville. 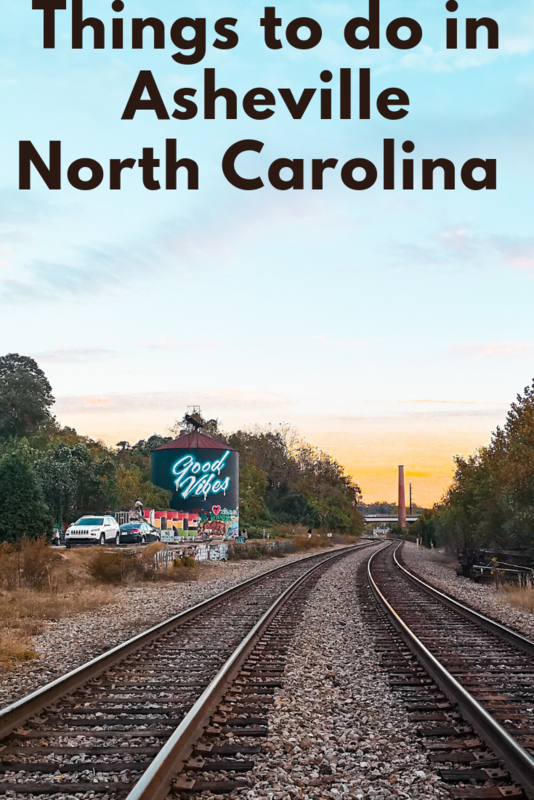 The neighborhood is where many individuals settled down during the economic boom and popularity of asheville. The homes exemplify a unique mixture of Victorian styles as well as Neoclassical, Colonial Revival motifs, and more. 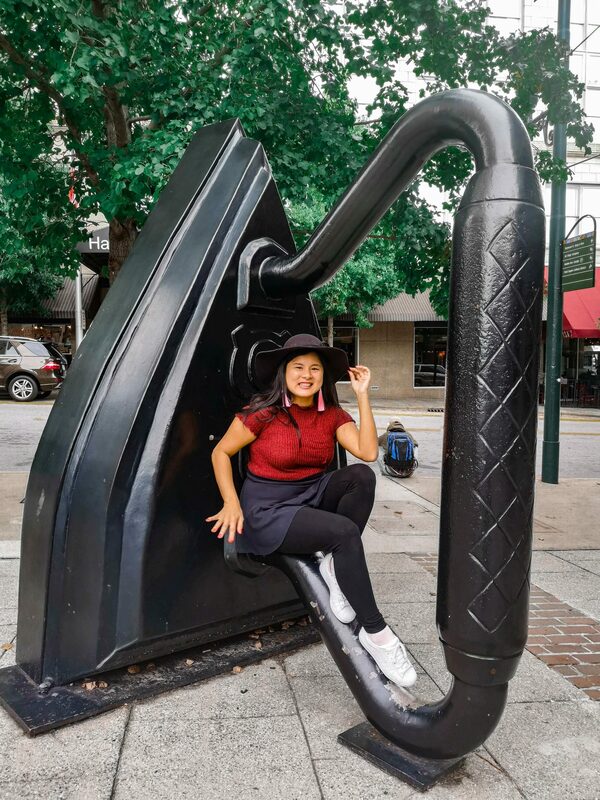 Asheville has so much to offer in terms of historical spots, architecture, and even its modern scene – and the Asheville Urban Trail is a really good way to learn more about the city in a short amount of time. The audio guide takes you through the different relevant locations in the area, and goes a little into depth behind the important history of each one. 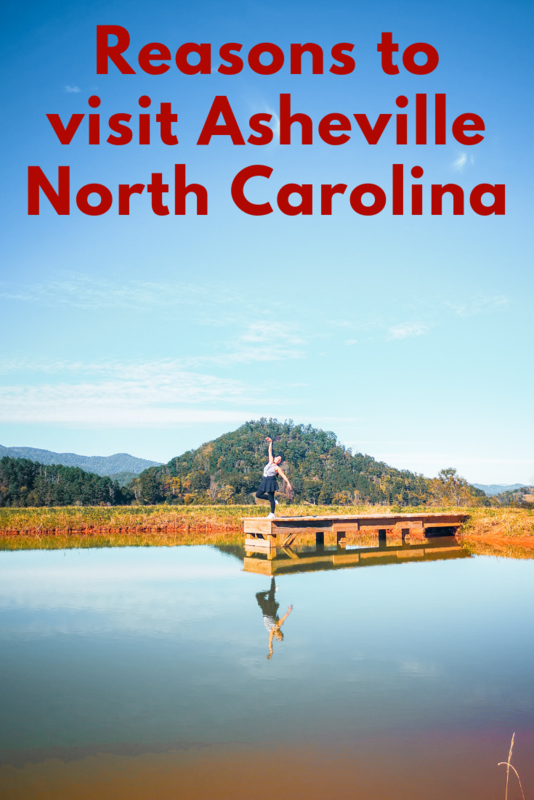 Asheville is a fusion of different neighborhoods with wildly different attributes making the city a rich and interesting mixing pot. Biltmore Village – A quaint, small village which hosts a large variety of different art shops, cafes, and restaurants. Located near the Biltmore Estate, the village is a good place to stop by before or after heading into the popular tourist destination. Cathedral of All Souls – An old church funded by Vanderbilt. 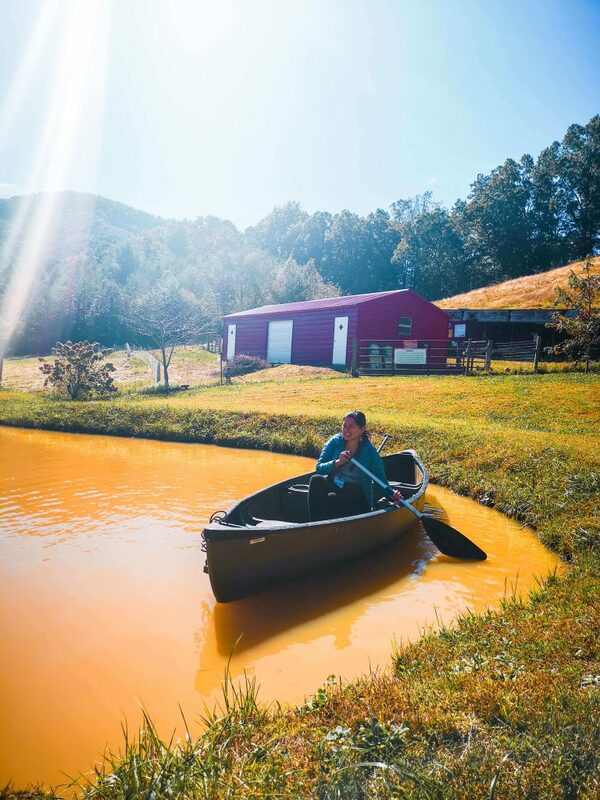 West Asheville – A mixture of both old and new – you will find modern businesses and establishments here alongside old, homey cottages that show the roots of the city of Asheville. 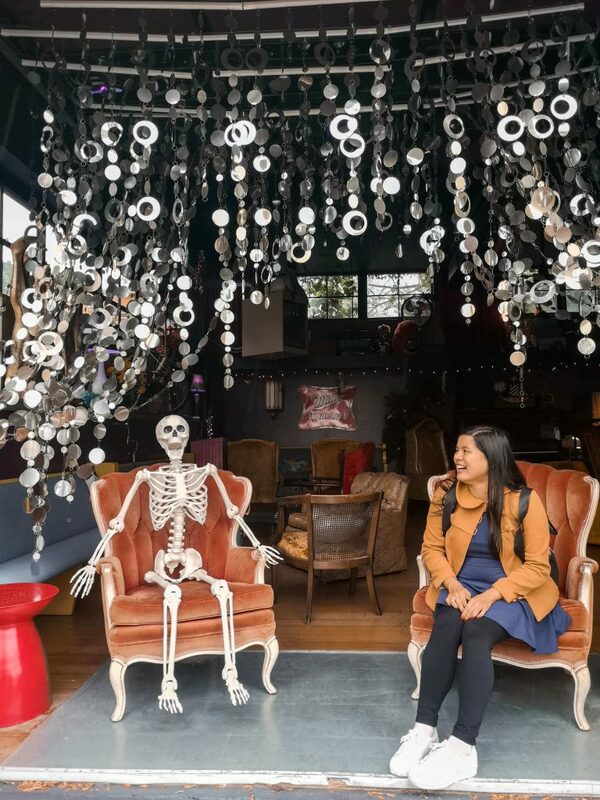 River Arts District – A hip and trendy location which is the nesting place of many artists, both budding and established. 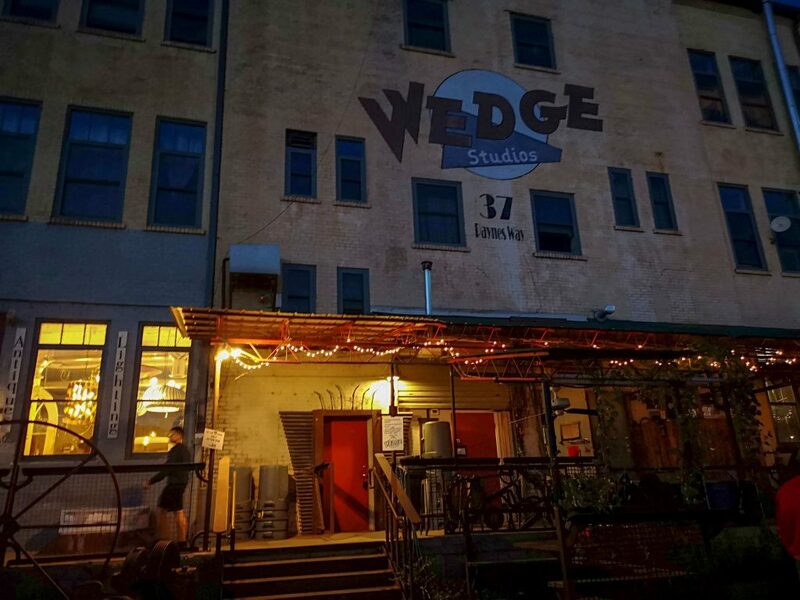 It is filled to the brim with studios, wall art and murals, and even art lesson offerings for the creative inside you. The lively city center where you can find the most exciting nightlife, fun shows and performances, as well as the most modern establishments and businesses. Shopping is a must do in this part of the city, with its saturated number of stores both local and non-local. Asheville felt very safe for solo or female travelers. Everyone was very polite, and even our Airbnb host’s hospitality was incredible. She definitely provided us with a lot of tips for our visit; she always took the time to talk to us and we had so many good bonding experiences on her couch. 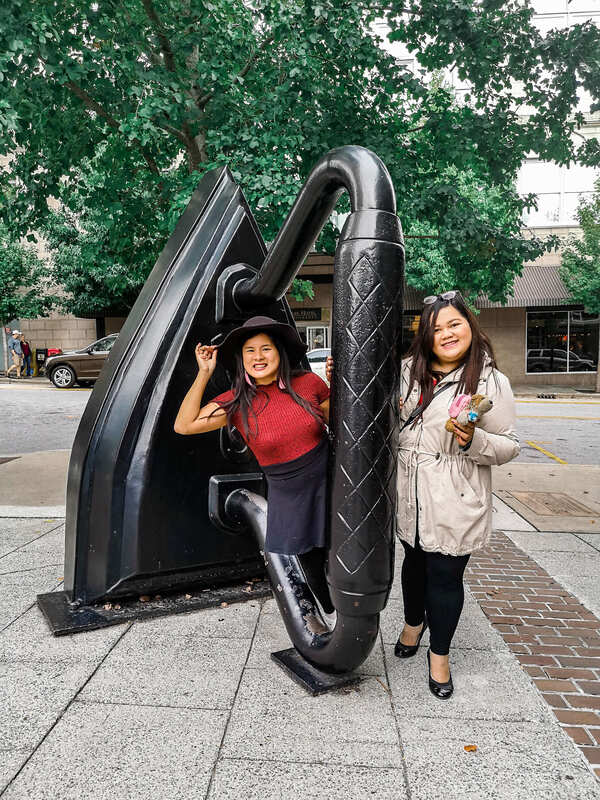 Our tour guides were darlings, too – and walking along the streets of Asheville felt super safe. Everyone was just willing to help, and our Uber drivers were also very chatty and entertaining. To be honest, this is one location where I felt like I could move and settle down. It’s a cool city with lots of good food, there are awesome views everywhere, people are downright real and kind, the streets are not too busy like New York and Los Angeles. I’m a weak driver but I think I could drive here. There are lots of hiking spots around the area. It really felt like a city which described me – a little bit of everything. Your post is so interesting and informative. Thanks!! 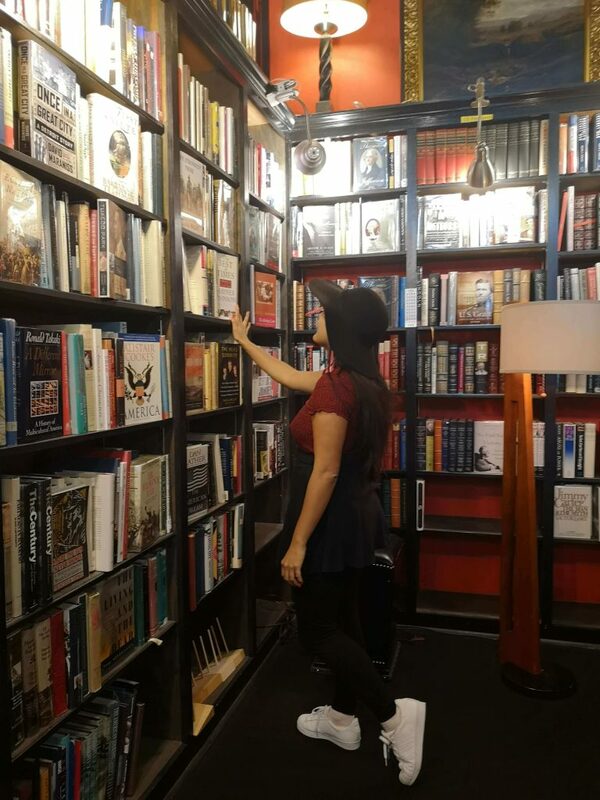 It makes me mouthwatering, i would like to explore the city through its delicious food, encountering friendly people as you mentioned above and appreciating the calm surrounds. 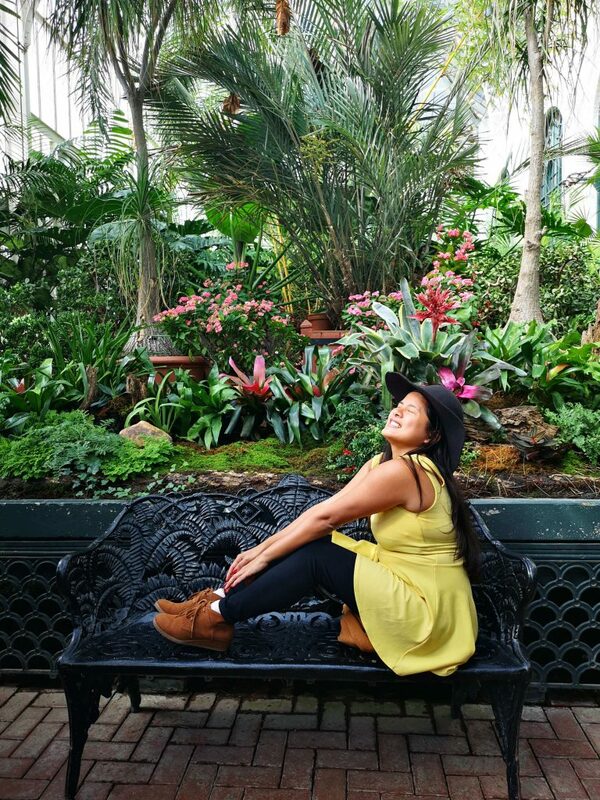 Karla is a Travel Blogger/ Social Media Manager/ Travel Consultant who works hard and plays hard. She is a thrill seeker and adventure junkie who enjoys researching for and planning trips. Expect her to share energy-packed and adrenaline-filled experiences , off beat travels, and more with you. Temptations Cat Treats at Shopee PH Now Available!